Book Leh Ladakh Tour Packages online Or Visit our Branch Office in Leh Ladakh for more offers. 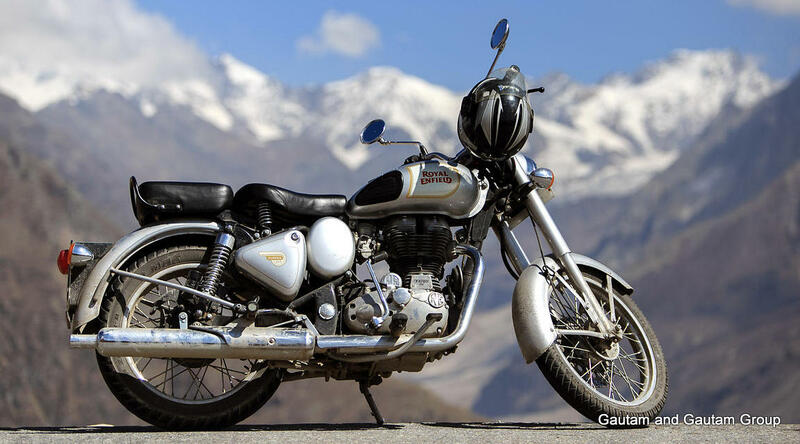 Do you want to Book Safe Tour to Leh Ladakh through Professionals? 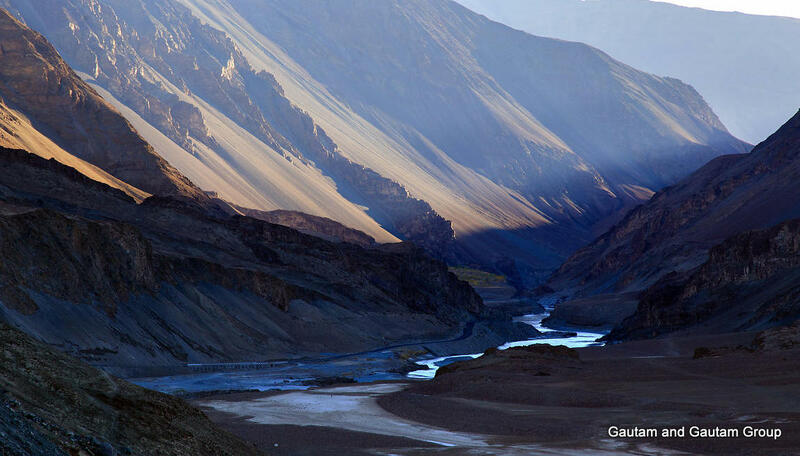 You may Call to Our Leh Ladakh Team on +91- 9419167939 , +91- 9736514182, +91-9736514284 or +91- 5832- 267070. You can also Fill Query Form in case if our phone nos. are continuously engaged due to more queries or not reachable due to network problem in Leh Ladakh these days. It is recommend by Government and tourism department that any adventure activity or Tour Package should be booked through licensed professionals to avoid accidents and problems. Call Us For booking now on 91- 9419167939 , +91- 9736514182, +91- 9736514284 Or +91-5832-267070. In case if Phone no.s are continuously engaged, You are requested to fill contact us form, Our team will call you back asap. You may also leave us a message on whats app no. +91- 9419167939 to get the different Packages detail with price. Want to book a tour? Call Us For booking on +91- 9419167939, +91- 9736514182 +91- 9736514284, +91-5832-267070 Or International USA No. +17184121139 in case if you are a foreigner. Please note that if Our Phone no's are continuously engaged, You are requested to fill contact us form on our website and our executives will get back to you as soon as possible. You may also leave us a message on our +91- 9419167939 WhatsApp Number to receive packages. In case if you are facing any problem, Please feel free to get in touch with us. We are looking forward to welcome you and your Group. 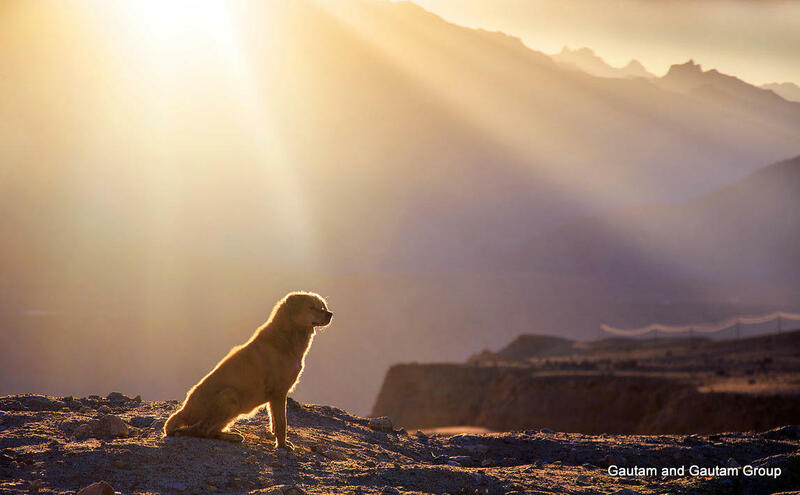 Like a dream captured in a snow globe, remote Ladakh is a wildly beautiful high desert valley set between the Kunlun Mountains and the Himalayas. On this journey, meet Ladakhi craftsmen and visit the medieval temples and Buddhist monasteries or gompas, which house the region’s history. 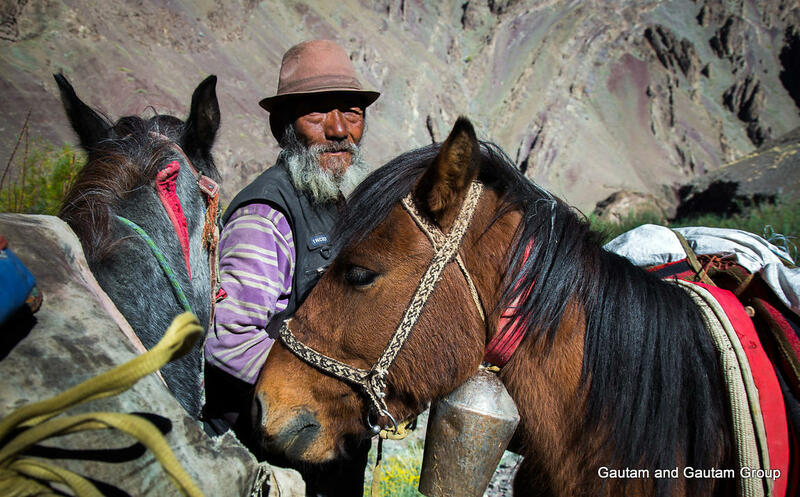 Delve into Ladakh’s incredible art and culture as you explore the fascinating monuments and admire the collections in the gompas. Before you head up to altitude, spend some time tracing the course of the Mughal Empire in Delhi. Welcome to India! Upon arrival in Delhi, transfer to your hotel and rest of the day is free for independent activities. Immerse yourself in the grandeur of the past as you explore Old Delhi’s Red Fort, an opulent bastion of the Mughal Empire. Also visit Shah Jahan’s incredible Jama Masjid, one of the largest mosques in the world. Savor a local lunch and then take some time on your own this afternoon. You can hire a private guide to introduce you to the city’s other sights, or just relax and enjoy your hotel’s amenities. Get acquainted with the red sandstone tower of Qutab Minar, built to celebrate the onset of Muslim rule. Morning transfer from hotel to airport in time to connect flight for Leh. 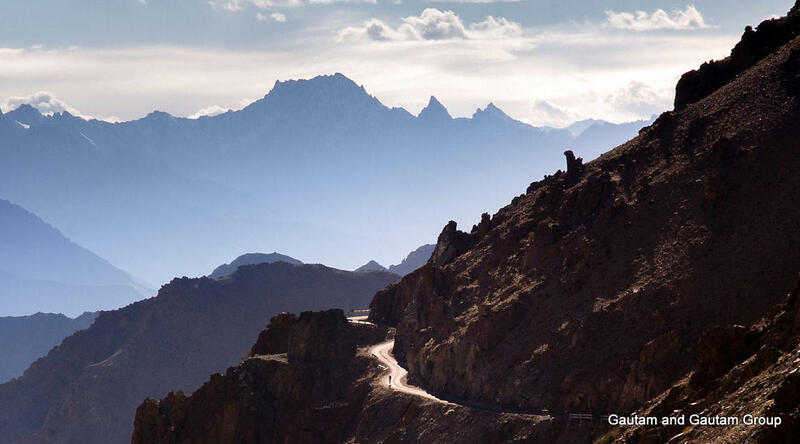 Fly north to the high-desert capital of Leh, once an important stop on the trade route that ran through the Indus Valley between India and western China. Upon arrival, you will be met and taken to your home for the next five nights, the Chamba Camp, Thiksey. This evening, watch a dance performance as the sun sets on the mountain peaks. 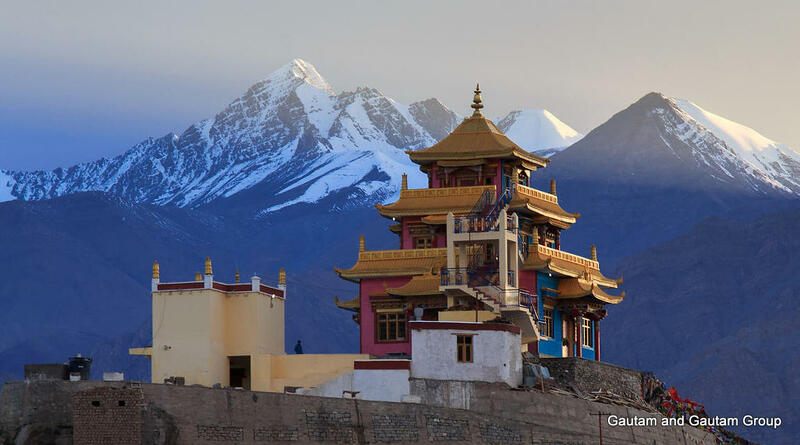 After a leisurely morning amidst the natural beauty of your camp, spend some time exploring the city of Leh, including the magnificent 17th- century Leh Palace and the old bazaar. 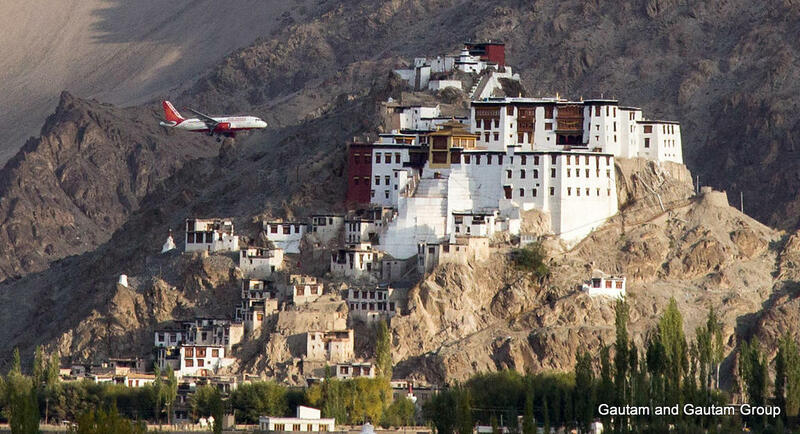 See how Leh was built as you tour a series of traditional houses and interact with a Ladakhi scholar on the architectural history of the old city. 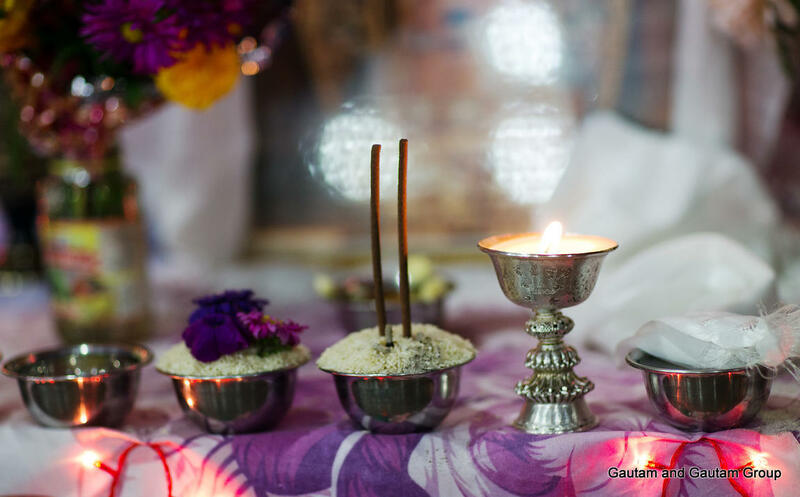 End your day with a cup of traditional butter tea as you admire the views from the Shanti stupa. Rise early to tea and coffee before beginning your visit to the Thiksey monastery, which lies about a half mile from your camp. 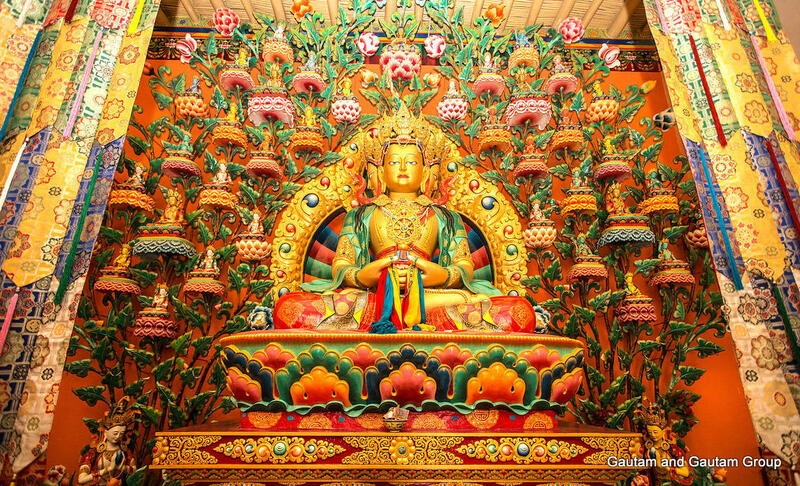 See the two-story statue of the Buddha seated on a lotus and participate in the morning prayer ceremony if you wish. 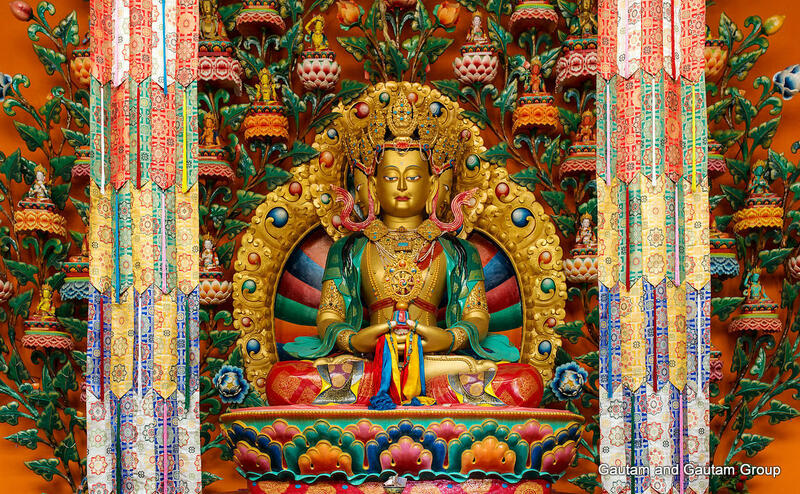 On your guided tour of the monastery, visit the lovely prayer room and shrines dedicated to the guardian deities of the monastery. Return to camp for breakfast, followed by some leisure time or an optional cycling trip. This afternoon, travel to a secluded valley to visit the Hemis Monastery, which is the oldest monastic institution of Ladakh. The morning is at leisure. 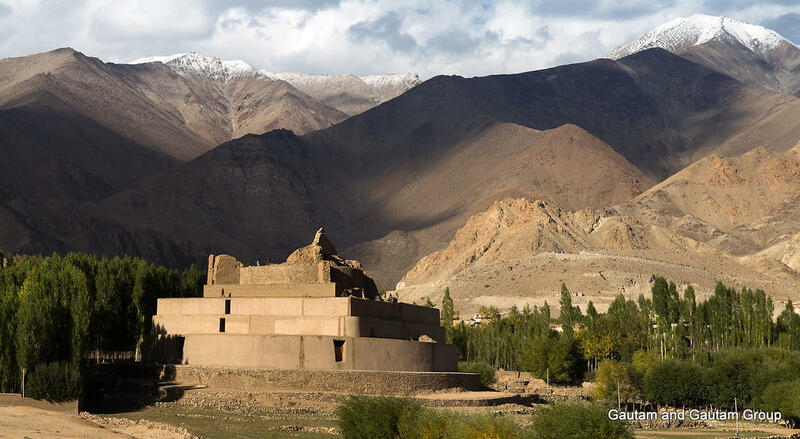 After lunch at the camp, cross the Indus River to explore the Stok Palace, a beautiful medieval fortress that serves as the residence of the prince of Ladakh. Down in Stok village, take a stroll and enjoy a cup of tea at a quaint Ladakhi house. 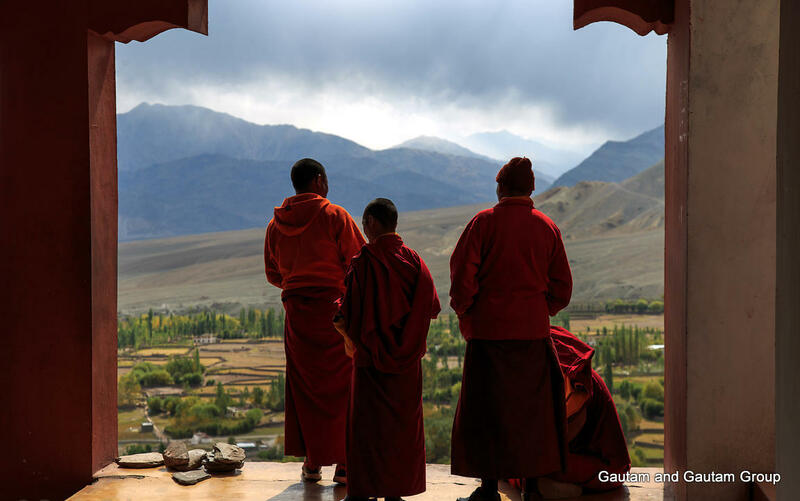 Spend the day walking in the footsteps of the Buddha as you explore the monastic treasures of Ladakh, from the fabled Alchi Monastery to the Ridzong Monastery, which is the only monastic institution here that also has a nunnery. Alternatively, combine your visit to Alchi with an optional rafting excursion on the Indus River. Return to Delhi by air. Enjoy the rest of the afternoon and evening at leisure. Upon arrival Delhi,leave for Manali by volvo bus. At morning reached in Manali. Check in in Camp or Hotel, free day to Explorer market.Over night in a hotel. You will drive along the Beas river upstream along the left bank through village Palchan, Kothi, beautiful place Gulaba, Rahala all, Marhi, until you reach Rohtang Pass(4050 mt/13287 ft).Rohtang pass is the gateway to Lahaul Valley.Afterward, you will carry on to reach in Keylong and after 35 km will lead to jispa. overnight in hotel or campsite. After breakfast you will leave for the higher region,accompained by Zigzag uphills roads in the shadow of hanging glaciers to the scenic Baralacha la (4800m/15748ft), before we descend to the Sarchu plateau. Overnight in the camp site. Today day for rest and later half day local visit to Alchi Oldest monastery of Ladakh and one of the 7 wonders of India & Likir Monastery, Pathar Sahib, Gurudwara and Sangam, Hall of fame Museum.overnight in a hotel. After breakfast leave for Pangong lake 14500 ft, en route enjoy the view of Indus mountain range and pass Chang La (third highest motorable road in the world). After spending memorable moments at Pangong lake drive back to Leh. Overnight in hotel. 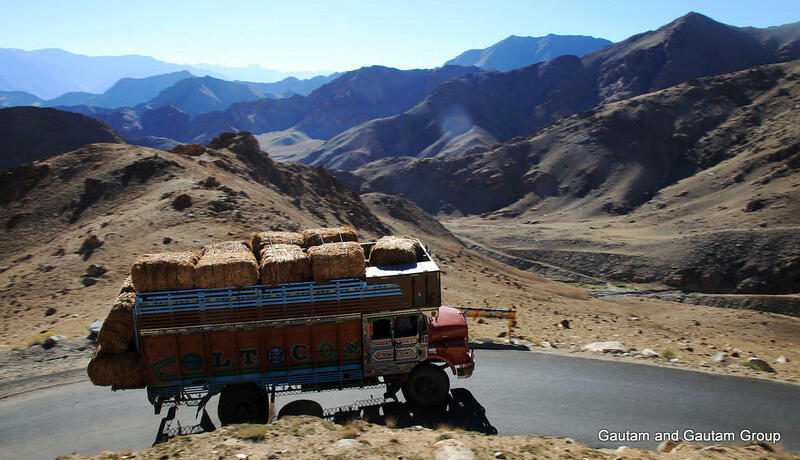 After breakfast drive to Khardung la (highest motorable road in the world,18380 ft) and drive beautiful view of Indus than back to leh by the same route.reach Leh by after to explore leh market.overnight in a hotel at leh. After breakfast, we drive back to Sarchu by the same route. Overnight in camp. After breakfast drive towards Manali overnight in hotel. Today free to explore Manali Mall road till evening. In evening move towards Delhi by Volvo. After reaching Delhi move to your destination. > Personal expenses or other additional expenses incurred due to bad weather, road closure,landslides,political disturbances etc.